Following the broadcast premiere of Soul of a People: Writing America’s Story, our award-winning documentary about the 1930 Federal Writers Project, we’re advancing our outreach initiatives into new territories – online and in the real world. With a grant from the National Endowment for the Humanities, and in collaboration with design partner Learning Games Network (LGN), Spark Media is developing a youth initiative that uses gaming, social networking and other Web 2.0 frameworks to bring the era and the Federal Writers’ to life in new ways. The goal: to help young people explore the themes, challenges and outcomes of this unique national endeavor launched in the midst of the country’s Great Depression, and to use what they’ve gleaned to create a massive, contemporary portrait of America with poetry, podcasts, pens and iPads. Sound ambitious? It is, and that’s just the kind of challenge we like to give ourselves. 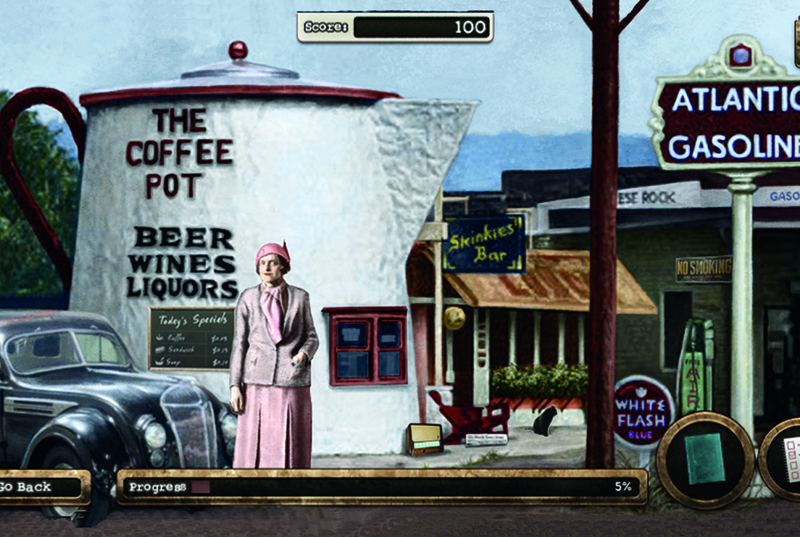 The centerpiece of Soul of a Place is the American Guide Game, where players take on the role of Project field researchers and editors of the American Guide Series. The first game to explore 1930s American life and culture, the American Guide Game will immerse players in Depression-era social history and promote an understanding of the vital links between America’s past and present. The American Guide Game is currently in the prototype phase of development.